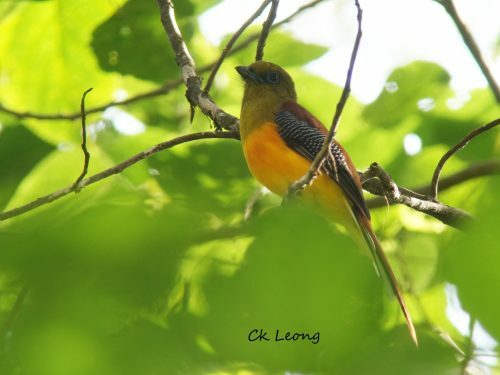 The Orange-breasted Trogon Harpactes oreskios is scarce bird of the hill and lower montane forest but I have had better luck finding it at the Rafflesia Forest Reserve. For most of the time when I saw this magnificent bird, it had been quiet, reminding me of the other montane trogon, the Whitehead’s. Both prefer the mid canopy and both give away their presence while displaying vibrant colors in flight.